“Subtle” and “elegant” are perhaps not the first words that pop into one’s head with respect to the Shelby GT350 Mustang. Yet despite its aggressive air scoops on the hood, C-pillars, and rear quarters, this 1967 Shelby GT350 – soon to be up for grabs at Barrett-Jackson‘s Palm Beach auction event – fits the bill, what with its deep, dreamy “Nightmist Blue” exterior paint with white Le Mans stripes. With a black interior, a four-speed manual transmission, and a 289 Ford “Hi-Po” V8 under the hood, this ’67 Shelby GT350 will go under the gavel next month, with no reserve. According to Hagerty, ’67 models such as this one can fetch more than $180k at the high end, and we wouldn’t be surprised to see this particular example go for roughly that amount. 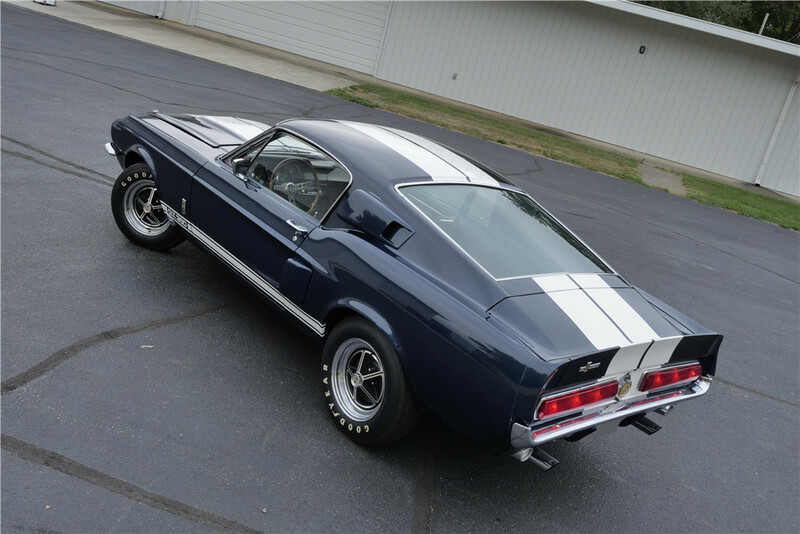 Clean, well-cared-for, and seemingly mostly original throughout, this 1967 Shelby GT350 features power steering and brakes, Magstar rims, a 9-inch rear end, and upgraded 2-barrel Ford carbs – three of them. Beside that, its Nightmist Blue body appears to be anything but common, and it’s a color that we feel suits the sculpture of the car quite well. Be sure to keep an eye on Barrett-Jackson’s Palm Beach auction, April 12th through the 15th, to see how much this 1967 Shelby GT350 pulls in at auction. Click here for more photos and info.